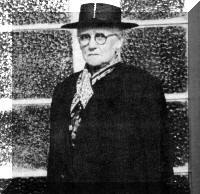 3-Esther Amy Walker was born on 17 Jul 1877 in Westbury, Tasmania and died on 16 Jul 1945 at age 67. Esther married Harold Bingham, son of John Bingham and Mary Ann Crawford, on 30 Aug 1899 in Deloraine, Tasmania. Harold was born on 20 May 1875 in Ulverstone, Tasmania. John Bingham was an officer in the police force and they lived at first at Zeehan, where their two daughters were born, later at Spreyton, then at Hobart. For a time Esther operated a cafeteria in Devonport, opposite the railway station, and later conducted a cake shop in North Hobart, doing her own cooking. Esther and her daughter Esther, later Esther Edwards, then took over a shop on the corner of Goulburn and Molle Streets, Hobart, dealing in drapery, haberdashery and hardware. The next venture was a fruit shop in Elizabeth Street, Hobart. Daughter Esther and younger daughter Mary lived at and operated the fruit and vegetable shop until Esther's marriage to Maitland Edwards, about 12 months later. Meanwhile, Esther (senior) conducted the general store on the corner of Molle and Goulburn Streets. Esther Edwards went to live in Florence Nightingale Home, Hobart. 4-Mary Ellen Bingham was born on 25 Nov 1902 in Zeehan, Tasmania and died on 17 Jan 1970 at age 67. 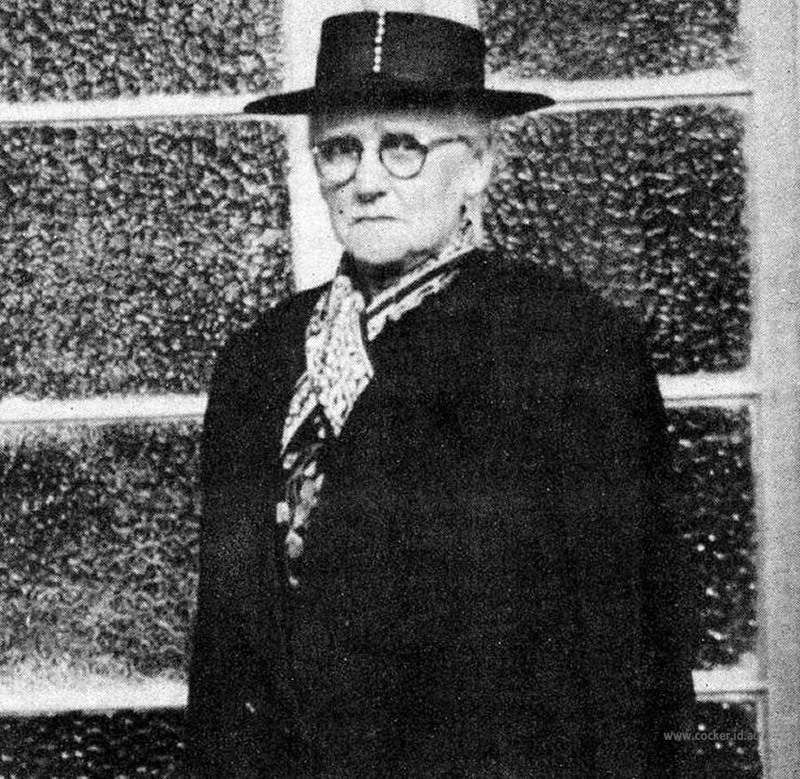 Mary married Percival George Strange, son of George Strange and Alice Maud Mary Newman, on 22 Nov 1924 in Salvation Army, Hobart. Percival was born on 23 Jun 1896 in Hobart, Tasmania. They had six children: Hazel Jean, Alvin George, Alison Mary, Veronica May, Thomas John and Noel Alfred. 5-Hazel Jean Strange was born on 29 Jan 1922. Hazel married Keith Oakley Newman. Keith was born on 19 Mar 1910 and died on 4 Nov 1952 at age 42. They had five children: Barry Noel, Anthony John, Glen Oakley, Karen Joy and Reginald Stanley. 6-Barry Noel Newman was born on 15 May 1940. Barry married Norma. 6-Anthony John Newman was born on 6 Feb 1946 and died on 21 Mar 1946. 6-Glen Oakley Newman was born on 30 Jan 1947. Glen married Debbie. They had two children: Courtney Kay and Ben Lee. 7-Courtney Kay Newman was born on 1 Nov 1977. 7-Ben Lee Newman was born on 25 Nov 1985. 6-Karen Joy Newman was born on 10 Mar 1951. Karen married Christopher Brown. Christopher was born on 29 May 1947. They had two children: Renee and Adele Heather. 7-Renee Brown was born on 2 Apr 1973. 7-Adele Heather Brown was born on 21 Sep 1975. 6-Reginald Stanley Newman was born on 11 May 1952. Reginald married Margaret Ann Robins. Margaret was born on 28 May 1955. They had three children: Keith William, Sally-Anne and Cynthia Michelle. 7-Keith William Newman was born on 13 Feb 1975. 7-Sally-Anne Newman was born on 15 Sep 1976. 7-Cynthia Michelle Newman was born on 23 Feb 1979. Hazel next married William Bowden Davies. William was born on 29 Mar 1920 and died on 17 Nov 1994 at age 74. They had two children: David Bowen and John William. 6-David Bowen Davies was born on 6 Feb 1957. David married Karen Joy Beattie. Karen was born on 28 Feb 1962. They had one son: Nelson Bowen. 7-Nelson Bowen Davies was born on 18 Jan 1992. 6-John William Davies was born on 28 Apr 1959. John married Wendy Carr. Wendy was born on 16 Oct 1960. They had five children: Adam John, Rebecca Wendy, Natalie Joy, Alexander David and Jessica Eleanor. 7-Adam John Davies was born on 4 May 1981. 7-Rebecca Wendy Davies was born on 14 Apr 1983. 7-Natalie Joy Davies was born on 27 Nov 1989. 7-Alexander David Davies was born on 18 Dec 1991. 7-Jessica Eleanor Davies was born on 2 Sep 1993. 5-Alvin George Strange was born on 25 Feb 1925 and died in Feb 1925. 5-Alison Mary Strange was born on 2 Sep 1928. Alison married Charles Graham Smith. Charles was born on 14 Nov 1925 and died on 26 Oct 1976 at age 50. They had four children: Mary Gwendoline, Judith Anne, Margaret Esther and Graham William. 6-Mary Gwendoline Smith was born on 24 Apr 1947. Mary married Robert Charles Barwick. Robert was born on 6 Sep 1946. They had two children: Kim Robert and Jamie Lee. 7-Kim Robert Barwick was born on 4 Jan 1965. Kim married Jacqui Pearce. They had two children: Joshua Keith and Kieron. 8-Joshua Keith Barwick was born on 18 Jul 1988. 8-Kieron Barwick was born on 23 May 1993. 7-Jamie Lee Barwick was born on 11 Dec 1969. 6-Judith Anne Smith was born on 8 Nov 1949. Judith married Terry Michael Holmes. Terry was born on 9 Sep 1949. They had three children: Brett Wayne, Jason Leigh and Kelle Anne. 7-Brett Wayne Holmes was born on 7 Jun 1966. 7-Jason Leigh Holmes was born on 27 Feb 1972. 7-Kelle Anne Holmes was born on 8 Jul 1976. 6-Margaret Esther Smith was born on 18 Jan 1951. Margaret married Peter Jonson. Peter was born on 10 Oct 1936 and died on 3 Oct 1984 at age 47. They had one daughter: Ellen Vicki. 7-Ellen Vicki Jonson was born on 25 Jun 1976. Margaret next married Barry John Salter. Barry was born on 8 Feb 1942. 6-Graham William Smith was born on 16 Dec 1958. Graham married Pamela Marie Kelly. Pamela was born on 31 May 1959. They had two children: Alan Graham and Glen David. 7-Alan Graham Smith was born on 17 Sep 1982. 7-Glen David Smith was born on 3 May 1985. Alison next married Max Albert Wheatley. 5-Veronica May Strange was born on 11 Dec 1935 and died on 10 Apr 1995 at age 59. Veronica married Stanley Royal Kemp. Stanley was born on 30 Mar 1930. They had four children: Michael Philip, Christine May, Marlene and Lindsay Royal. 6-Michael Philip Kemp was born on 14 Apr 1956 and died on 15 Apr 1956. 6-Christine May Kemp was born on 14 May 1957. Christine married Wayne Pestrucci. Wayne was born on 23 Oct 1958. They had two children: Danny Leigh and Lisa May. 7-Danny Leigh Pestrucci was born on 6 Jul 1982. 7-Lisa May Pestrucci was born on 11 Nov 1985. 6-Marlene Kemp was born on 7 Mar 1960. Marlene married Keverall Morris Widdowson. Keverall was born on 12 Jul 1957. They had four children: Nathan Stanley, Kylie Anne, Carey Marie and Scott David. 7-Nathan Stanley Widdowson was born on 12 Jan 1975. Nathan married Tania Swinton. They had one son: Jonathon David. 8-Jonathon David Widdowson was born on 4 Mar 1994. 7-Kylie Anne Widdowson was born on 20 Dec 1976. Kylie married Steven Maynard. They had two children: Jessica Kylie and Sarah May. 8-Jessica Kylie Maynard was born on 19 May 1994. 8-Sarah May Maynard was born on 26 Aug 1995. 7-Carey Marie Widdowson was born on 16 Apr 1979. 7-Scott David Widdowson was born on 14 Jun 1982. 6-Lindsay Royal Kemp was born on 30 Jul 1963. Lindsay married Angela Jean Webb. Angela was born on 2 Dec 1966. They had five children: Trevor William, Michael Philip, Jacki May, Stephen and Mathew Ian. 7-Trevor William Kemp was born on 9 Nov 1985. 7-Michael Philip Kemp was born on 17 Dec 1988. 7-Jacki May Kemp was born on 1 Jul 1992. 5-Thomas John Strange was born on 12 Oct 1937. Thomas married Faye Kathleen Childs. Faye was born on 5 Sep 1936. They had three children: Carolyn Alice, Helen Marie and Bradley James. 6-Carolyn Alice Strange was born on 5 Oct 1956. Carolyn married Gregg Wilson. 6-Helen Marie Strange was born on 28 Sep 1959. 6-Bradley James Strange was born on 9 Apr 1970. 5-Noel Alfred Strange was born on 10 Jul 1939 and died on 16 Oct 1979 at age 40. Noel married Shirley Silvia Maxfield. Shirley was born on 1 Aug 1940. They had five children: Frederick Noel, Debra Marie, Reginald Percival, Peter John and Chris. 6-Frederick Noel Strange was born on 19 Feb 1959. Frederick married Karen May Ferguson. Karen was born on 10 Aug 1965. 6-Debra Marie Strange was born on 12 Mar 1960. Debra married David Leon Banks. David was born on 21 Jan 1952. They had one daughter: Kylie Ann. 7-Kylie Ann Banks was born on 26 Dec 1978. 6-Reginald Percival Strange was born on 30 Aug 1961. Reginald married someone. He had one son: Timothy Brian. 7-Timothy Brian Strange was born on 16 Aug 1981. 6-Peter John Strange was born on 20 May 1964. Peter married someone. He had one son: Darren Frank. 4-Esther May Bingham was born on 19 Mar 1904 in Zeehan, Tasmania and died on 4 Feb 1992 at age 87. Esther married Maitland Wynne Edwards, son of Charles Merefield Edwards and Catherine Mary Rollins. Maitland was born on 18 Jan 1903 in Domain Street, Glebe, Hobart, Tasmania and died on 9 Jun 1974 at age 71. They had one son: Ian. 5-Ian Edwards was born on 29 Apr 1943. Ian married Margaret Anne Bevril. Margaret was born on 2 Oct 1941. They had two children: Drew Maitland and Jennifer. 6-Drew Maitland Edwards was born on 29 Jul 1969. 6-Jennifer Edwards was born on 8 Apr 1972.